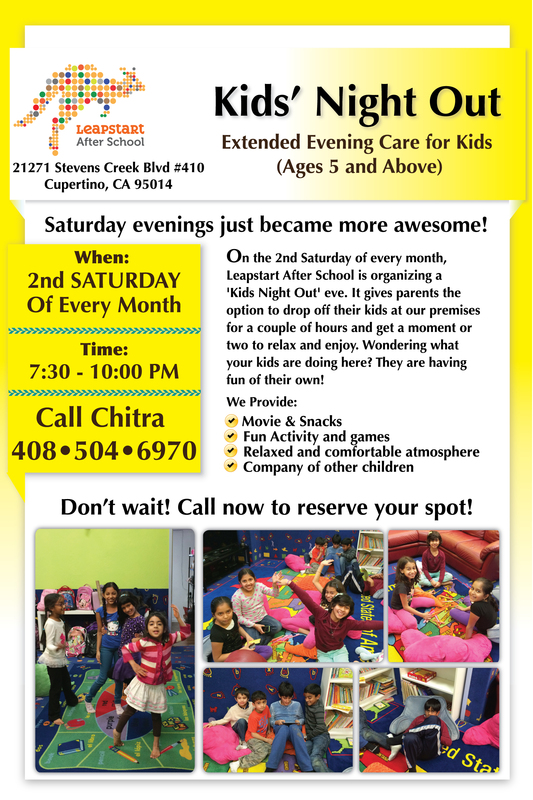 Leapstart After School provides extended evening care, on the 2nd Saturday of every month, wherein parents can drop off their kids for up to three hours and go out for a romantic dinner or movie ! Your kids, in the meantime are having fun of their own! Right from healthy snacks, to movies, to the company of other children!! Don’t wait! Our spots get filled up fast. This is once a month only opportunity!